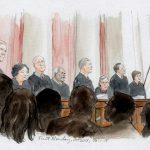 Oyez has posted the aligned audio and transcripts from this week’s oral arguments at the Supreme Court. The court heard argument this week in: PDR Network, LLC v. Carlton & Harris Chiropractic Inc. 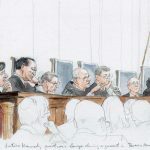 The Dutra Group v. Batterton Rucho v. Common Cause Lamone v. Benisek Kisor v. Wilkie The post Now available on Oyez: This week’s oral argument audio aligned with the transcripts appeared first on SCOTUSblog. Oyez has posted the aligned audio and transcripts from this week’s oral arguments at the Supreme Court. 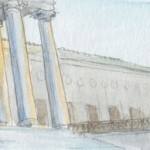 The court heard argument this week in: Manhattan Community Access Corp. v. Halleck United States v. Haymond Mont v. United States The American Legion v. American Humanist Association The post Now available on Oyez: This week’s oral argument audio aligned with the transcripts appeared first on SCOTUSblog. Oyez has posted the aligned audio and transcripts from this week’s oral arguments at the Supreme Court. The court heard argument this week in: Return Mail Inc. v. United States Postal Service Mission Product Holdings Inc. v. Tempnology, LLC The post Now available on Oyez: This week’s oral argument audio aligned with the transcripts appeared first on SCOTUSblog. Oyez has posted the aligned audio and transcripts from this week’s oral arguments at the Supreme Court. The court heard argument this week in: Apple Inc. v. Pepper Nieves v. Bartlett Nutraceutical Corp. v. Lambert Carpenter v. Murphy Timbs v. Indiana The post Now available on Oyez: This week’s oral argument audio aligned with the transcripts appeared first on SCOTUSblog. Oyez has posted the aligned audio and transcripts from this week’s oral arguments at the Supreme Court. The court heard argument this week in: Sturgeon v. Frost Virginia Uranium Inc. v. Warren Bucklew v. Precythe BNSF Railway Company v. Loos Republic of Sudan v. Harrison Culbertson v. Berryhill The post Now available on Oyez: This week’s oral argument audio aligned with the transcripts appeared first on SCOTUSblog. Oyez has posted the aligned audio and transcripts from this week’s oral arguments at the Supreme Court. The court heard argument this week in: Stokeling v. United States United States v. Stitt Nielsen v. Preap Air and Liquid Systems Corp. v. DeVries The post Now available on Oyez: This week’s oral argument audio aligned with the transcripts appeared first on SCOTUSblog. Oyez has posted the aligned audio and transcripts from this week’s oral arguments at the Supreme Court. The court heard argument this week in: Weyerhaeuser Company v. United States Fish and Wildlife Service Mount Lemmon Fire District v. Guido Gundy v. United States Madison v. Alabama Knick v. Township of Scott, Pennsylvania New Prime Inc. v. Oliveira The post Now available on Oyez: This week’s oral argument audio aligned with the transcripts appeared first on SCOTUSblog. Oyez has posted the aligned audio and transcript from today’s oral argument in Trump v. Hawaii. The aligned audio and transcripts for the other arguments heard this week will be posted on Friday. 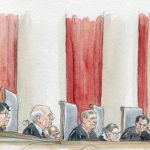 The post Now available on Oyez: Oral argument audio aligned with the transcript in Trump v. Hawaii appeared first on SCOTUSblog. Oyez has posted the aligned audio and transcripts from this week’s oral arguments at the Supreme Court. The court heard argument this week in: Wisconsin Central Ltd. v. United States WesternGeco LLC v. ION Geophysical Corp. South Dakota v. Wayfair Inc. Lamar, Archer & Cofrin, LLP v. Appling Lagos v. United States Washington v. United States The post Now available on Oyez: This week’s oral argument audio aligned with the transcripts appeared first on SCOTUSblog. Oyez has posted the aligned audio and transcripts from this week’s oral arguments at the Supreme Court. 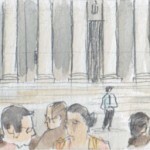 The court heard argument this week in: United States v. Sanchez-Gomez China Agritech v. Resh Hughes v. United States Koons v. United States Benisek v. Lamone The post Now available on Oyez: This week’s oral argument audio aligned with the transcripts appeared first on SCOTUSblog. Oyez has posted the aligned audio and transcripts from this week’s oral arguments at the Supreme Court. The court heard argument this week in: Sveen v. Melin National Institute of Family and Life Advocates v. Becerra Upper Skagit Indian Tribe v. Lundgren The post Now available on Oyez: This week’s oral argument audio aligned with the transcripts appeared first on SCOTUSblog. Oyez has posted the aligned audio and transcripts from this week’s oral arguments at the Supreme Court. The court heard argument this week in: Janus v. American Federation Ohio v. American Express Co. United States v. Microsoft Corporation Lozman v. Riviera Beach Minnesota Voters Alliance v. Mansky The post Now available on Oyez: This week’s oral argument audio aligned with the transcripts appeared first on SCOTUSblog. Oyez has posted the aligned audio and transcripts from this week’s oral arguments at the Supreme Court. The court heard argument this week in: Currier v. Virginia City of Hays v. Vogt Dahda v. United States Rosales-Mireles v. United States The post This week’s oral argument audio aligned with the transcripts now available on Oyez appeared first on SCOTUSblog. Oyez has posted audio and transcripts from this week’s oral arguments at the Supreme Court. The court heard argument this week in: Hall v. Hall Dalmazzi v. United States Encino Motorcars, LLC v. Navarro McCoy v. Louisiana The post This week’s oral argument audio now available on Oyez appeared first on SCOTUSblog. Oyez has posted audio and transcripts from this week’s oral arguments at the Supreme Court. The court heard argument this week in: Texas v. New Mexico and Colorado Florida v. Georgia Byrd v. United States Collins v. Virginia Husted v. A. Philip Randolph Institute The post This week’s oral argument audio now available on Oyez appeared first on SCOTUSblog. Oyez has posted audio and transcripts from this week’s oral arguments at the Supreme Court. The court heard argument this week in: Christie v. National Collegiate Athletic Association Rubin v. Islamic Republic of Iran Masterpiece Cakeshop, Ltd. v. Colorado Civil Rights Commission Murphy v. Smith Marinello v. United States The post This week’s oral argument audio now available on Oyez appeared first on SCOTUSblog. Oyez has posted audio and transcripts from this week’s oral arguments at the Supreme Court. The court heard argument this week in: Oil States Energy Services, LLC v. Greene’s Energy Group, LLC SAS Institute Inc. v. Matal Cyan, Inc. v. Beaver County Employees Retirement Fund Digital Realty Trust, Inc. v. Somers Carpenter v. United States The post This week’s oral argument audio now available on Oyez appeared first on SCOTUSblog. Oyez has posted audio and transcripts from this week’s oral arguments at the Supreme Court. 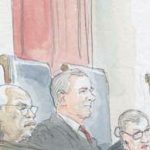 The court heard argument this week in: Merit Management Group, LP v. FTI Consulting, Inc. Patchak v. Zinke The post This week’s oral argument audio now available on Oyez appeared first on SCOTUSblog. Oyez has posted audio and transcripts from this week’s oral arguments at the Supreme Court. 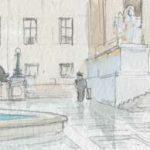 The court heard argument this week in: Ayestas v. Davis Wilson v. Sellers U.S. Bank National Association v. Village at Lakeridge, LLC Artis v. District of Columbia The post This week’s oral argument audio now available on Oyez appeared first on SCOTUSblog. Oyez has posted audio and transcripts from this week’s oral arguments at the Supreme Court. The court heard argument this week in: Hamer v. Neighborhood Housing Services of Chicago National Association of Manufacturers v. Department of Defense Jesner v. Arab Bank, PLC The post This week’s oral argument audio now available on Oyez appeared first on SCOTUSblog. Oyez has posted audio and transcripts from this week’s oral arguments at the Supreme Court. The court heard argument this week in: Epic Systems Corp. v. Lewis Sessions v. Dimaya Gill v. Whitford Jennings v. Rodriguez District of Columbia v. Wesby Class v. United States The post This week’s oral argument audio now available on Oyez appeared first on SCOTUSblog. Oyez has posted audio and transcripts from this week’s oral arguments at the Supreme Court. The court heard argument this week in: McWilliams v. Dunn Davila v. Davis Bristol-Myers Squibb Co. v. Superior Court of California, San Francisco County BNSF Railway Co. v. Tyrrell Sandoz Inc. v. Amgen Inc. Maslenjak v. United States The post This week’s oral argument audio and transcripts now available on Oyez appeared first on SCOTUSblog. Oyez has posted audio and transcripts from this week’s oral arguments at the Supreme Court. 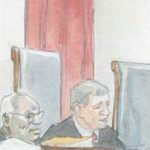 The court heard argument this week in: Advocate Health Care Network v. Stapleton TC Heartland LLC v. Kraft Foods Group Brands LLC Lee v. United States Turner v. United States Honeycutt v. United States The post This week’s oral argument audio and transcripts now available on Oyez appeared first on SCOTUSblog. Oyez has posted audio and transcripts from this week’s oral arguments at the Supreme Court. The court heard argument this week in: Murr v. Wisconsin Howell v. Howell Microsoft Corp. v. Baker Impression Products, Inc. v. Lexmark International, Inc. County of Los Angeles v. Mendez Water Splash, Inc. v. Menon The post This week’s oral argument audio and transcripts now available on Oyez appeared first on SCOTUSblog.